Some of the things we will be working on this year are: posture, breathing, starting and ending notes, tone production, correct hand placement, correct mouth placement (embouchure), and basic music theory (note names, note values, musical terms, articulation, dynamics, etc.). Percussion students will begin the process of learning how to play the many different percussion instruments (with correct technique!) which include: bass drum, cymbals, suspended cymbals, xylophone, timpani, snare drum, drum set, gong, concert toms, congas, crash cymbals, tambourine, and many others. My main goals for this school year will be to enforce and maintain proper playing techniques as well as develop a sense of performance, musicality, energy and teamwork as part of the Mitchell band program. 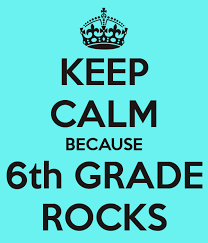 The 6th graders will meet as a full band at least twice before each of our two band concerts. 6th graders will also be eligible to march in the Junior Lighthouse Brigade (rehearsals will begin in March or April).